The Schapendoes is a herding breed that most often works with sheep. They are rarely seen outside of their homeland. The Schapendoes has existed in the Netherlands since the 19th century. 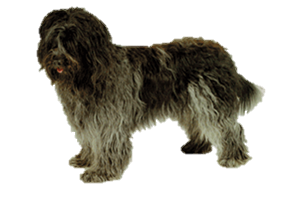 While their ancestry is unknown they are believed to be closely related to the Bearded Collie, Bergamasco, Briard, Puli, Polish Lowland Sheepdog and Sheeppoodle. The breed had almost vanished by the 1940s, due to imported Border Collies, but it was salvaged by Dutch expert Toepoel. Is the Schapendoes Right for You?